West Brom have released a trio of first-team squad players in Ivory Coast's Abdoulaye Meite, Gianni Zuiverloon and Giles Barnes. 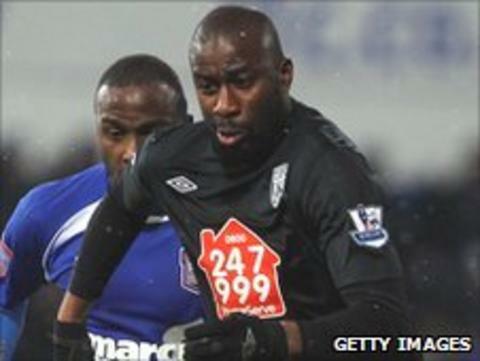 Ex-Bolton defender Meite and Zuiverloon, who signed from Dutch side Heerenveen, joined the Baggies three years ago for £2m and £3.2m respectively. But the pair have struggled to produce their best form. Barnes has not featured under Roy Hodgson since his arrival as manager. Albion's sporting and technical director Dan Ashworth said: "I would like to thank Abdoulaye, Gianni and Giles for their efforts with us and wish them every success in their future careers." The Baggies have taken up one-year options on left-back Marek Cech and striker Roman Bednar.